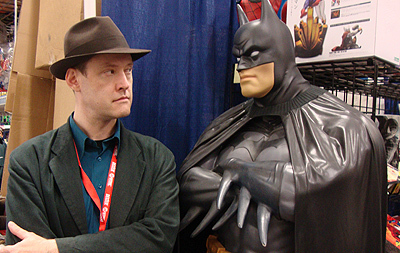 Thanks to everyone who attended and helped organize WonderCon! This was our first year exhibiting there since the show was in Oakland, and it was a triumphant return. Convention-goers snapped up 70 copies of our Boilerplate book in 16 hours. Considering everything we need to deal with when manning a table, we literally could not have sold the books any faster! 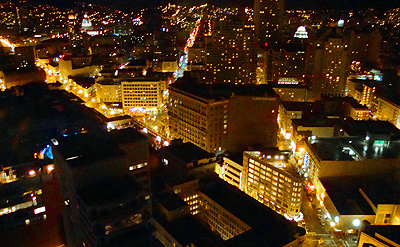 View from the "Death Star Bar" atop the con hotel. 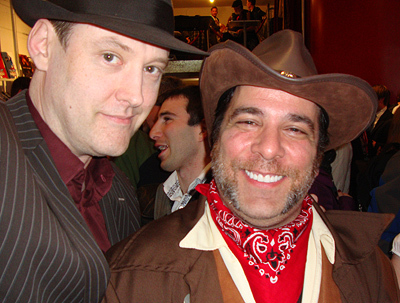 Above: Paul the gangster and Jimmy Palmiotti the cowboy. Below: Columnist Heidi MacDonald, writer Anina Bennett, and artist Amanda Conner. 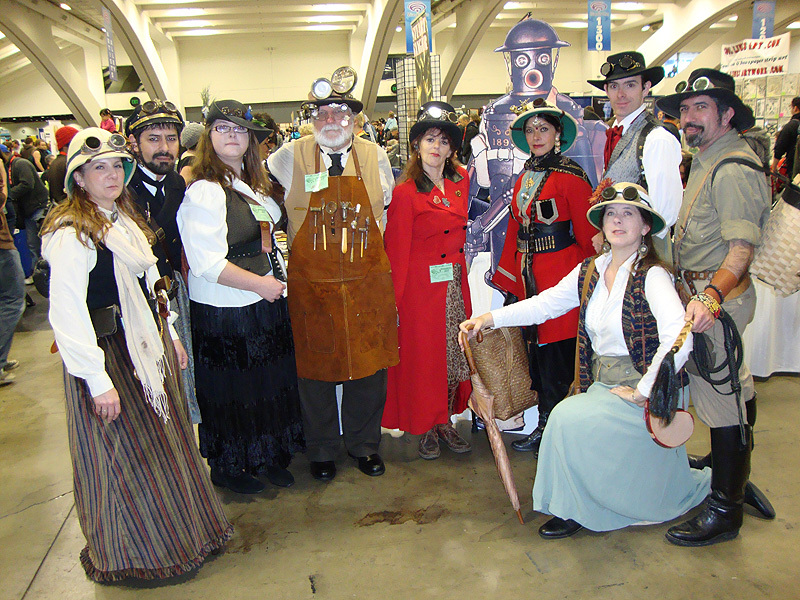 Above: Steampunks gather for a portrait with Boilerplate. 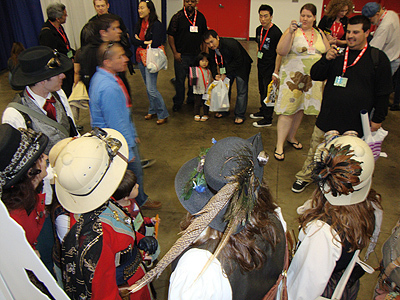 With each passing year, the ranks of steam-themed attendees grow larger. Left: Boilerplate and the crowd of steampunks quickly attract a crowd of shutterbugs. It's a mini-Steamcon! Above: Anina is ready for a journey through time and space. 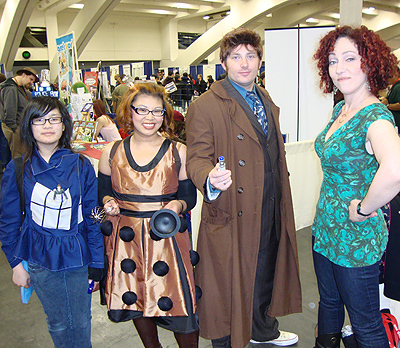 That Dalek dress is her fave fan costume of all time! 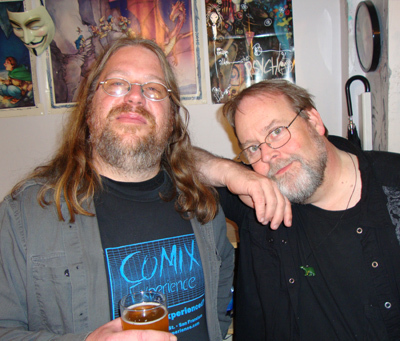 Below: Two industry legends: Brian Hibbs and Bob Schreck. 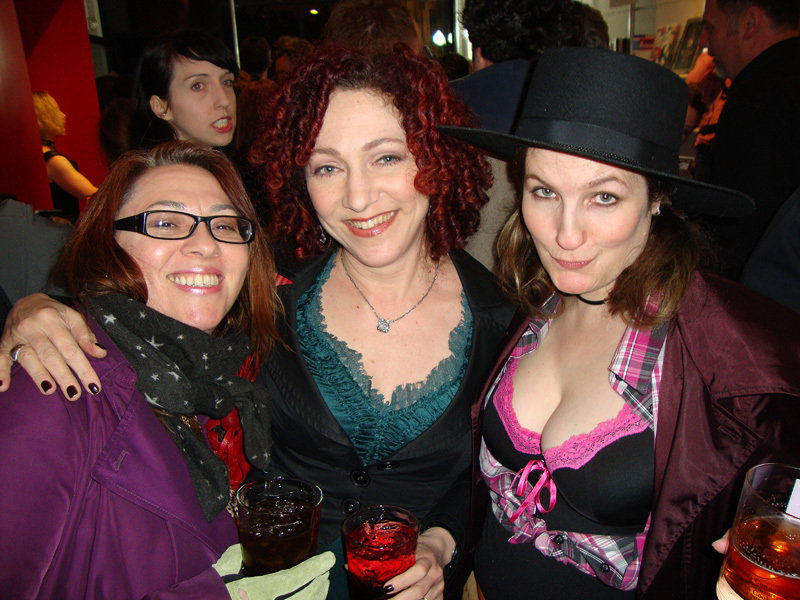 owner of Isotope Comic Book Lounge, and Anina.